Great color and wonderful form makes ‘Kauai Sunset’ one of the best multi-floral miniature art shades we’ve seen in recent years ! Phal. 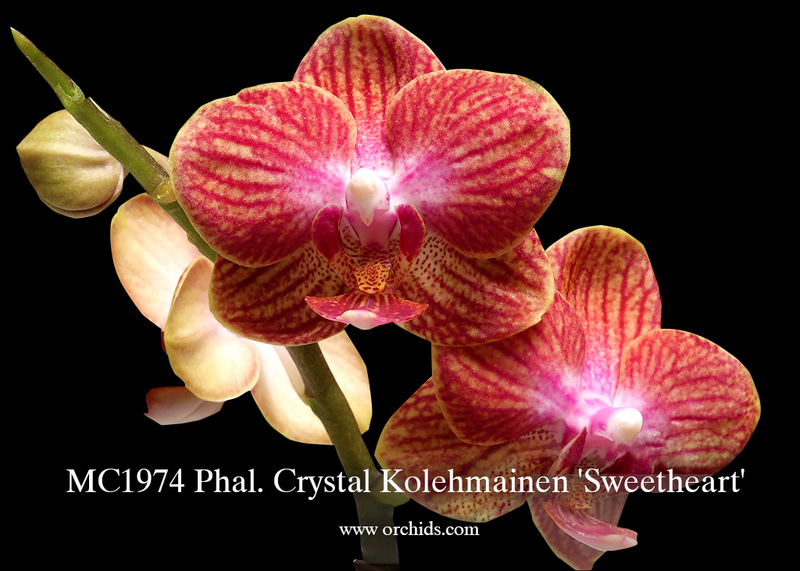 Sogo Berry has been a great parent, bringing a multi-floral habit to its progeny while Phal. 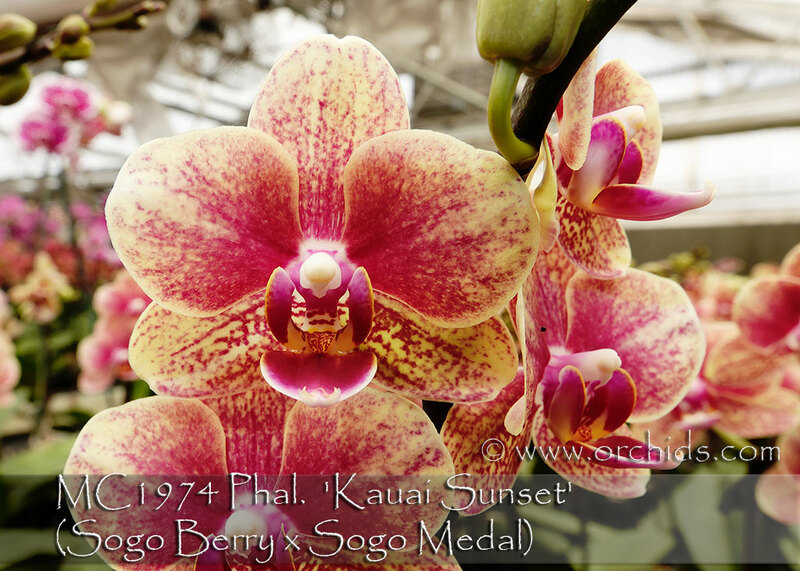 Sogo Medal adds the influence of heavier substance to the flowers. This little wonder is definitely Award Quality and is very Highly Recommended for its color and compact growth and spike habit ! Kauai Sunset; Note: Mini Phal , Long Lasting .